Home>Blog >Does Your Business Really Need Social Media Marketing? Both brick-and-mortar shops and online businesses can benefit from an effective marketing campaign and whether that marketing campaign focuses on local media, or it is based entirely online, adding social media marketing can increase your results. When done properly, social media marketing can help you engage with your customers, grow your brand and grow your business. Social Media Marketing Helps You Reach More Potential Customers- reaching more potential customers can mean increased sales and better long term sustainability for your business. You can even target customers locally, throughout the UK, or around the world. 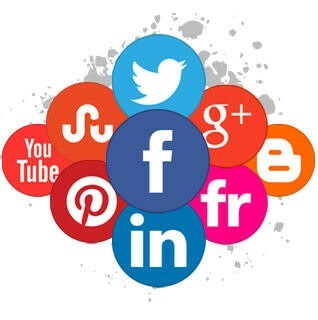 Social Media Marketing Helps You Create Lasting Customer Relationships- building lasting relationships with your customers can lead to an increase in sales, as much larger customer base, more word of mouth advertising and an increase in repeat sales. Social media marketing helps you create lasting relationships with your target audience which can make them feel comfortable enough to purchase your products or services. Social Media Marketing Helps You Generate Increased Traffic To Your Website- using social media for your small business can generate more traffic to your website which can lead to an increase in sales. How can you use social media to generate more traffic to your website? By providing your users with high quality content that offers them value. Content should be relevant, informational and engaging. You can even choose to offer content that is entertaining as long as it is tasteful. Social Media Marketing Helps You Build Your Brand- by using social media for your small business, you can build your brand and become an authority in your industry. Social media is fast becoming the go-to news and information source for people all over the world and the content they see, they perceive as true and relevant to their lives. Social Buzzing understands the needs of today’s small business owners and knows how to create an effective social media marketing campaign. To learn more about using social media marketing to reach more customers and grow your business, contact Social Buzzing today!